There are two feelings that cannot be matched by anything else. One is the sight of your food coming at a restaurant (stole this from IG but it really is the die hard truth) and the second is the delivery guy ringing your doorbell! Well today my package was delivered to my job but the mailroom guy dropping my package brings me the same joy. 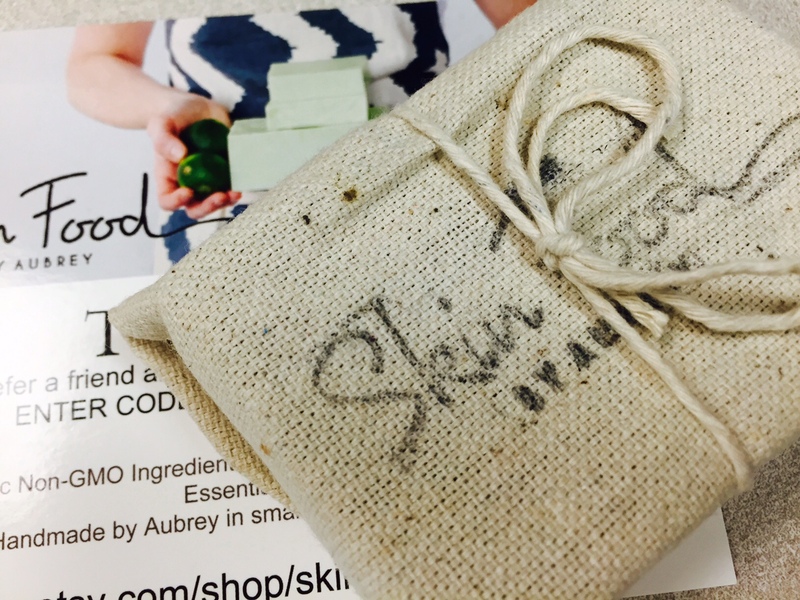 Any who, without further ado, my Skin Food by Aubrey package has arrived. I literally just got it and I’m so excited that I had to share it with you all. This post is simply a review on my first impression. 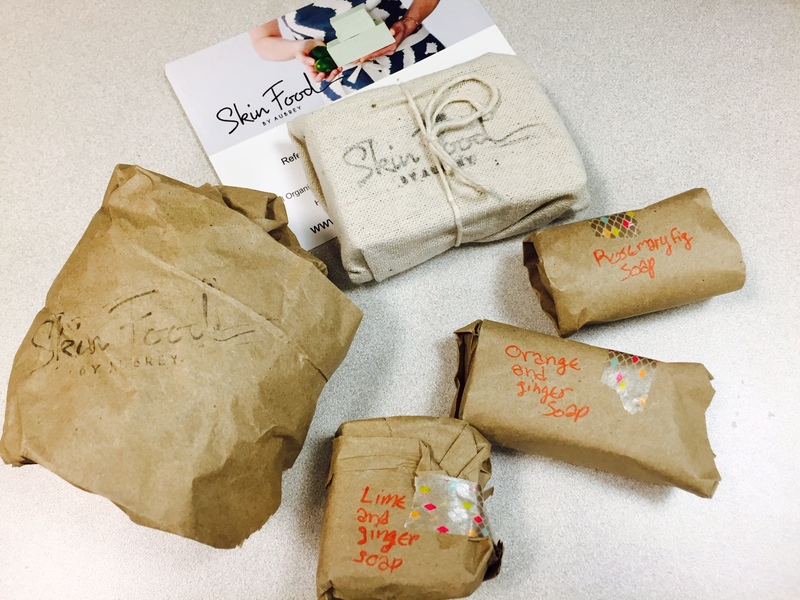 So, as soon as I opened my package from Skin Food, the very first thing that escapes the box is the aroma. I took about 5 deep breathes just to take it all in before looking through it. 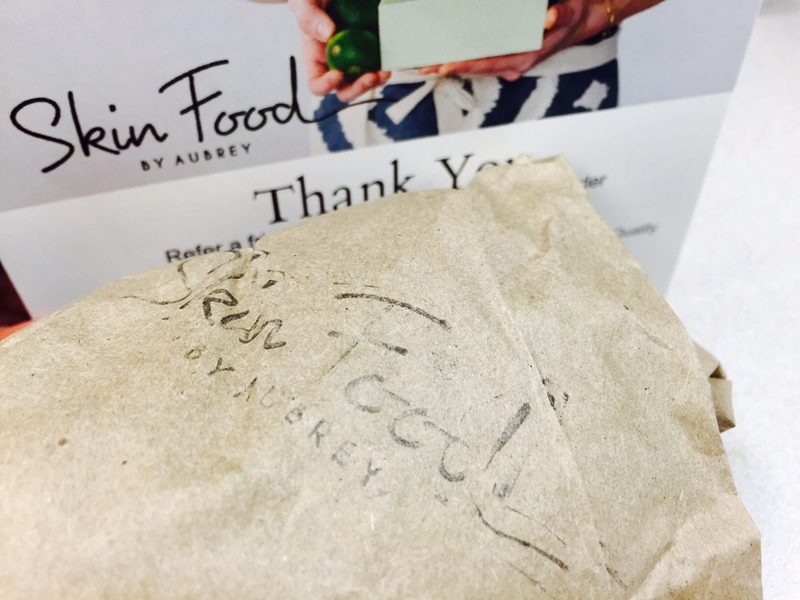 In addition to the amazing smell I was greeted by Aubrey’s company card atop my purchase. This product is the reason I purchased anything. I was looking for something that would lighten and even out my skin tone. I came across this product and asked Aubrey a few questions via Etsy. her response was very fast. She suggested I tried a sample size to see if this product is right for what I was looking for. Personally, I like any company that is that confident in their products that they give the option of sampling. The standard size is very affordable for the benefits listed but I wasn’t sure if it would help with what I am looking to improve. This is the product I am most excited about and I must say the smell is Mmm Mmm Good! I purchased this item because of minor pigmentation issues. I do not have acne prone skin but my skin is still flawed. I have a few dark spots and I do still break out slightly. 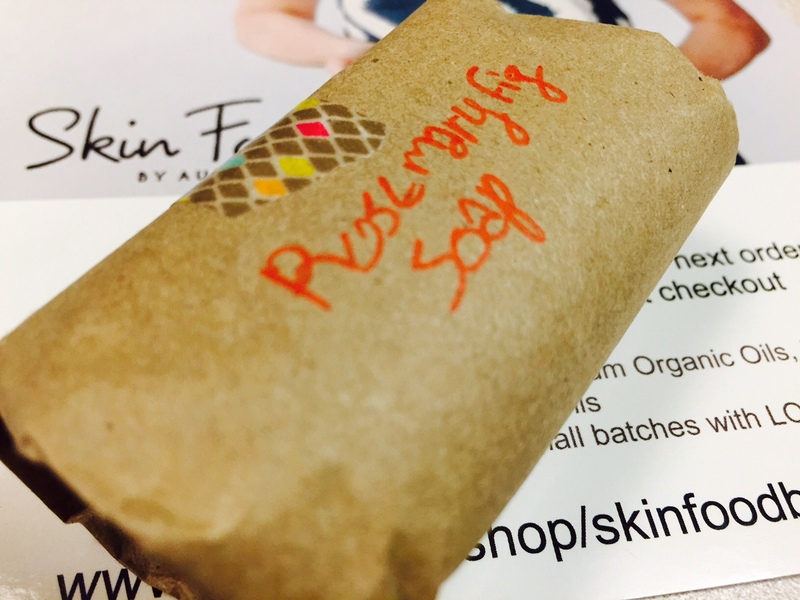 I am interested to seeing how this soap will benefit my skin. I don’t usually use bar soap on my face so I will definitely have a follow up post sharing my thoughts. 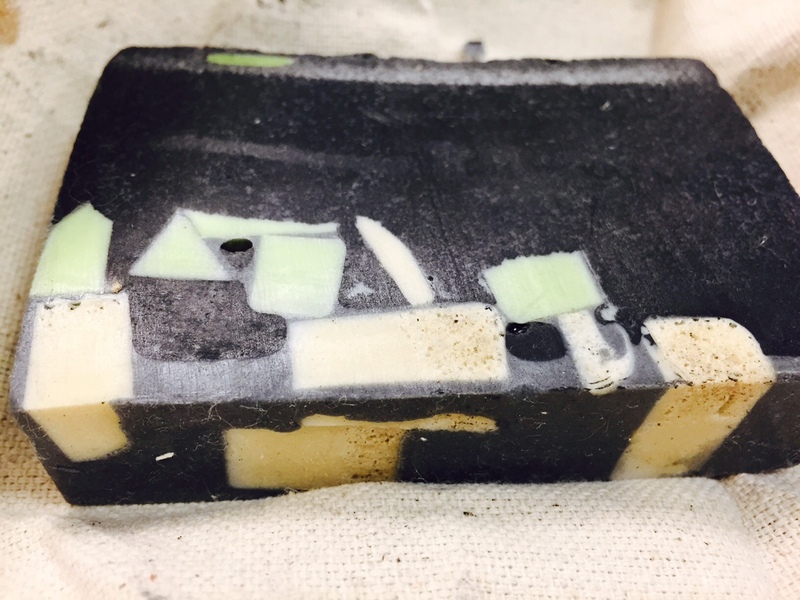 This soap has a few of the same benefits from the Charcoal soap above. There are areas on my face and body that I want to tone. 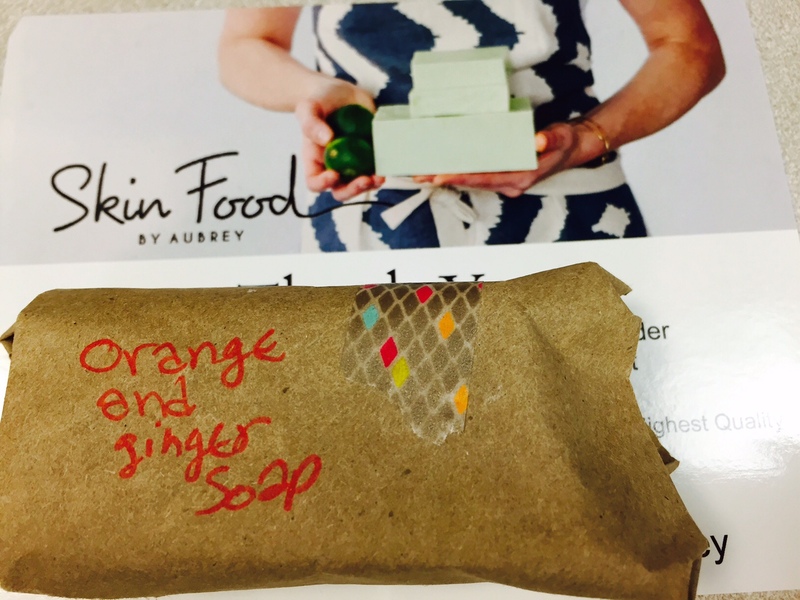 This soap claims to brighten and tone the skin. I look forward to gaining these benefits. 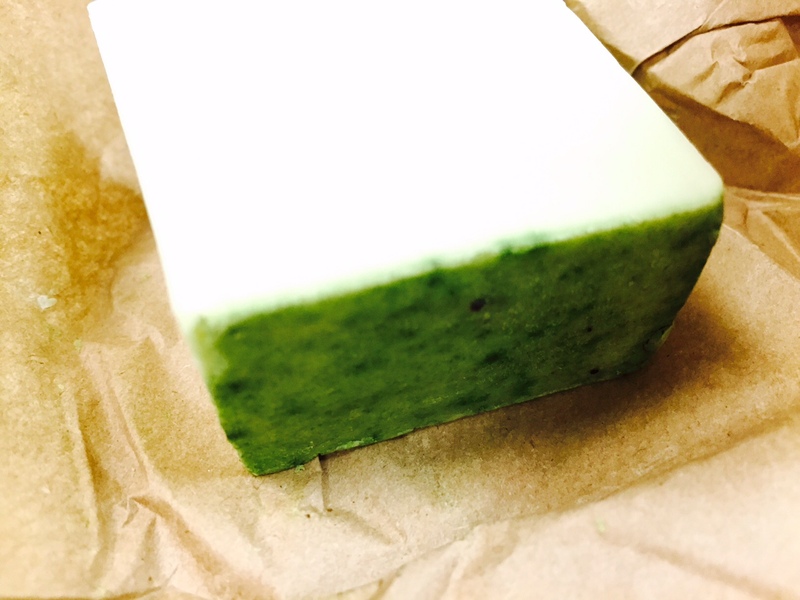 I bought a sample size in this soap to test it out. Just from knowing the benefits of Orange (vitamin C) and Ginger (healing agents) I was sold on this product. I can only assume that this soap would have great benefits. 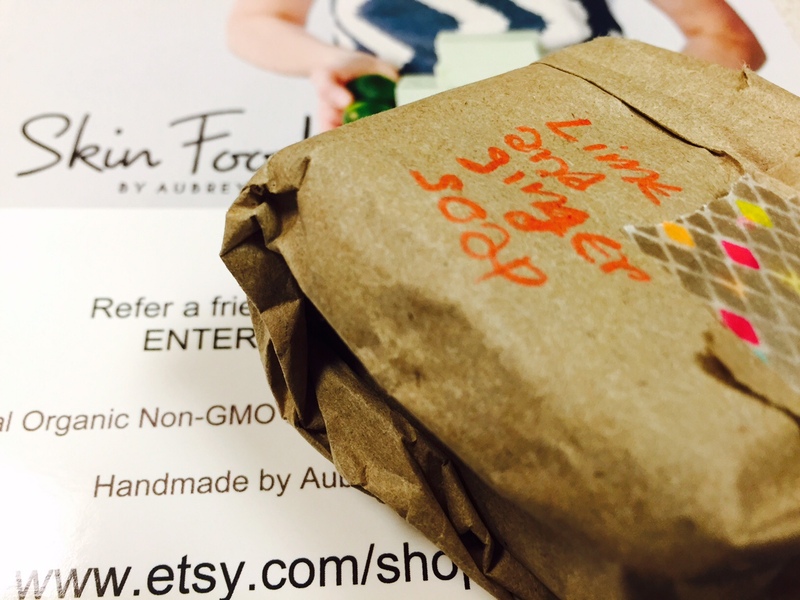 I purchased this soap more so for its medicinal benefits than anything else. My friends know that my memory is not the best. It’s not something I stress over but it is bothersome at times. 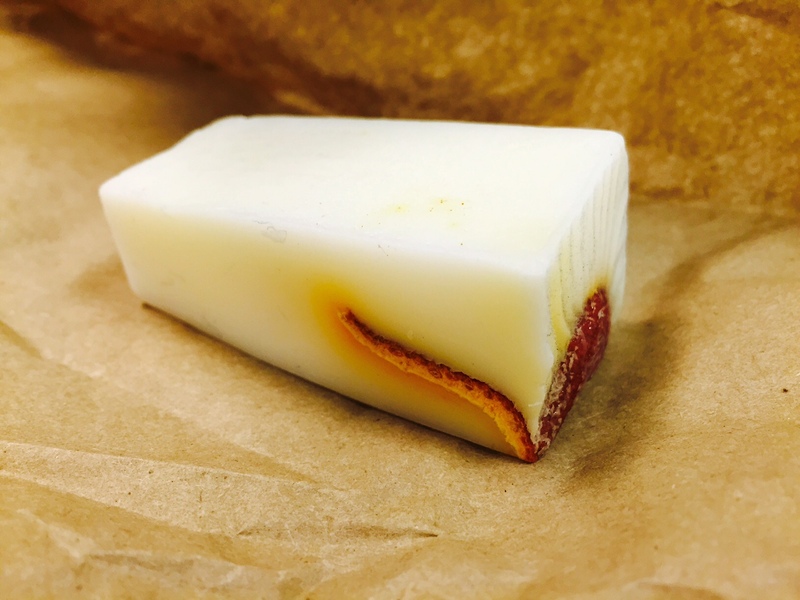 I don’t personally feel this soap will magically bring back my memory but I am optimistic that it can possibly enhance it alongside other activities and lifestyle changes I plan to implement within my life. Such as jogging which I started and love! 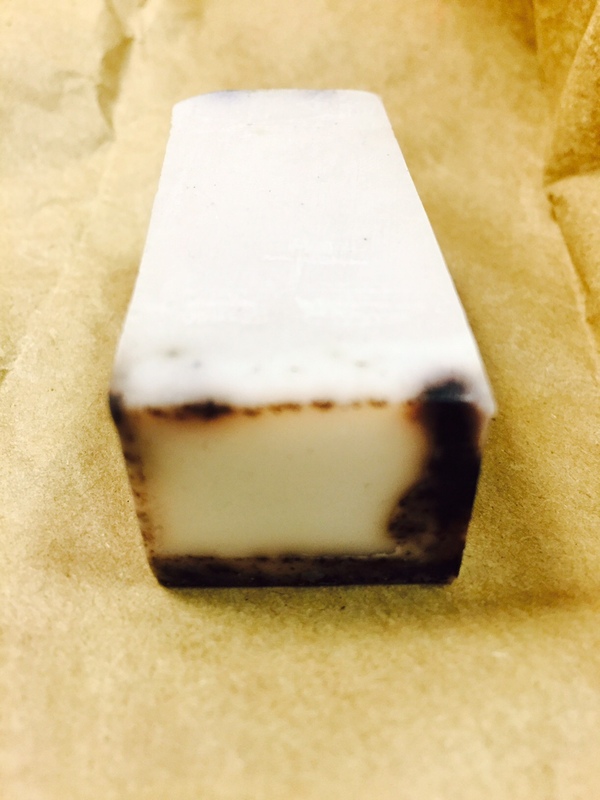 In addition to enhancing memory and concentration this Rosemary Fig Soap claims to promote hair growth, boost immune and circulatory system and much more. 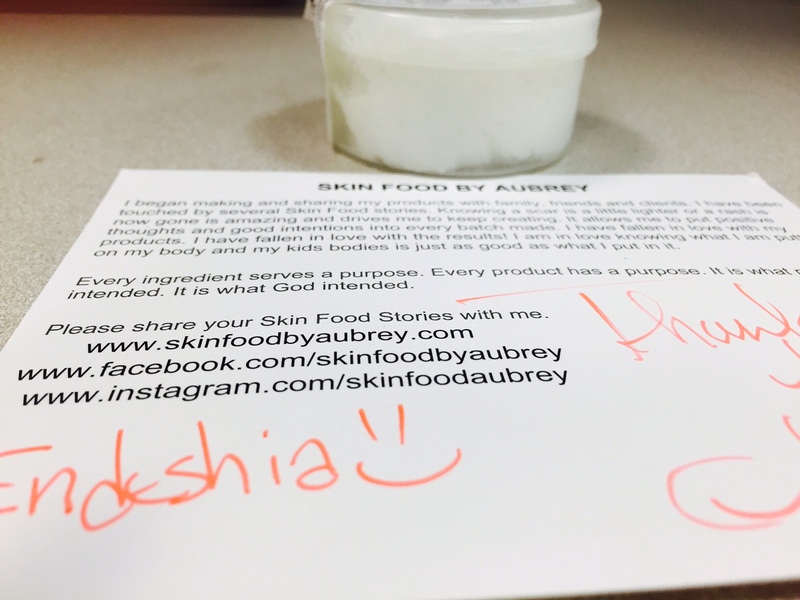 Overall, my first impression of Aubrey’s Etsy site, response and delivery time as well as first look at the products, I must say I am pleased and excited to start using the soaps and body butters. I plan to use each soap one at a time. Meaning I will not start using another soap until one is done so that I can really see which one is doing what. So I might do a review after finishing each product or I might do one entire review after trying all the products. I look forward to sharing. ← I broke down to B R E A K T H R O U G H.